We try very hard to make sure our pricing is fair and easy to understand. We think it is important to customize our services to fit your needs and to only charge you for the items you want cleaned. The prices on your estimate are only guaranteed for ten days. Technicare cannot be held responsible for any preexisting conditions or any damage prior to cleaning, such as holes, damaged fringe, or bleeding of colors. Every item will be inspected prior to cleaning for such damages. All items will be inspected to determine the best method of cleaning, whether it is dry-cleaned or steam cleaned. All work is done to the best of the technician?s professional ability and cannot be held responsible if stains will not come out fully after the completion of the technician?s duties. If colors bleed, fade, or the item tears or comes apart at the seams, Technicare cannot be held responsible for any damages due to conditions out of our control. The carpet may fade around the spot. The carpet may change color. The carpet fibers may become weakened and fall out. The spot may not come out. Unevenness and color differentiation due to unworn carpet placed next to worn carpet. Visual repair lines around the carpet patch. 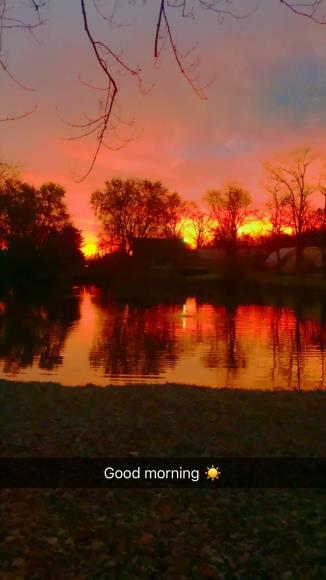 All work is done to the best of the technician?s professional ability and cannot be held responsible if unintended results occur or if results are unsatisfactory. Technicare cannot be held responsible for any damages due to the spot removal process and/or carpet repair process. Carpet cleaning service that is the highest rated at the lowest price! We combine steam cleaning with non-toxic and natural solutions to safely sanitize and effectively clean your carpet deeply and thoroughly in order to keep your entire family healthy, including your little ones and furry family members! We use a method called “double extraction” to make sure your carpet dries quickly so your carpet is left smelling clean and fresh with no harmful residue left behind. The reason we are ranked so high on BBB.org, Angie’s List, Google Reviews, Nexdoor and Facebook is because we care a lot about what we do and we want to make sure your carpet is healthy for you, your kids and your pets to live and play on (and we want your carpet to look good too). Click here to schedule the highest ranked carpet cleaning now! Give us a try and you won’t be disappointed. And don’t worry, there’s no risk involved. We have a 100% money back guarantee (*notice there is no disclaimer here). Once you get a chance to see our carpet cleaning reviews you will notice that we very rarely (almost never) disappoint our customers (you can scroll to the bottom of this page to see some of our customer reviews). 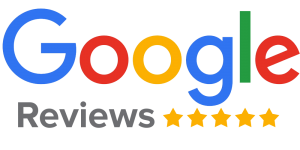 If you are doing online research to find the best local carpet cleaner (and we suggest you do your research) you will notice that our reviews are better than any other carpet cleaning company out there (seriously, compare our reviews with other carpet cleaning services!). Click here to schedule the best local carpet cleaning now! What happens if you are disappointed with our carpet cleaning service? If you are ever disappoint with our carpet cleaning results just tell us and we will do everything we can to make you happy and if we can’t make you happy we will refund you 100%. We make it easy for you because we follow up after your appointment to make sure you are happy with our service. Over 99% of our customer feedback says they are happy with our service and they will be using our carpet cleaning service again. But the best part is they say they will be telling their friends, family and neighbors about their experience with Technicare Carpet Cleaning (you may have heard your friends talk about us before). Click here to schedule carpet cleaning that everyone loves! Have you ever seen another carpet cleaning company offer a 100% money back guarantee? No? We haven’t either (let us know if you find one). Why don’t other carpet cleaning companies offer a 100% money back guarantee? 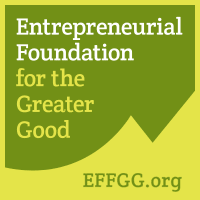 We are not talking about a meaningless “satisfaction guarantee” that a lot of companies have (especially the big ones). We are talking about an iron clad 100% money back guarantee. Most companies don’t offer a 100% money back carpet cleaning guarantee because they have too many unsatisfied customers. That is not a problem for us! Which is why so many people say our service is “uncommonly good!” It’s not just some lame marketing slogan, people actually say it! Click here to schedule carpet cleaning with a money back guarantee now! What happens when you become a happy customer and think we are the best carpet cleaning service you’ve ever used? We think you will be very happy with our service, so please leave us a carpet cleaning review on Angie’s List, Google, Facebook, BBB.org, Yelp or any other review site of your choice after you are loving your carpet again, thanks! Use Technicare for the highest quality carpet cleaning service with a 100% money back guarantee! We received the 10 Year Angie’s List Super Service Award for providing our customers with the highest level of service for ten years straight. Check out our reviews to see why we’ve had thousands of satisfied customers since 1993. Technicare is a professional carpet cleaning company using the best techniques, highly trained technicians, and the most technologically advanced equipment available. We clean your carpets thoroughly and safely which is why we are regarded as the local leader in professional carpet cleaning services and experts in pet stain and odor issues. Why do so many people rate our steam cleaning service so high? No Hidden Fees, no hard selling or bait and switch – no hassle experience! 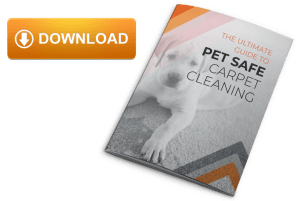 Download a free copy of the Ultimate Guide to Pet Safe Carpet Cleaning and learn how to keep your entire family healthy, including your furry family members! You will learn which chemicals to stay away from and what to ask your carpet cleaning service provider to make sure they are pet safe. Do you have pets? Find out why we are the pet stain and odor experts? We have a customized treatment for just about every pet stain and odor problem you can think of. Our pet stain treatments are non-toxic and great at treating pet stains and odors while remaining safe for your pets and children. Our carpet cleaners are friendly, professional, and pet stain & odor experts! We love pets just like you do, and each time you schedule carpet cleaning and you get a free area of pet urine & odor treatment we donate more to local pet adoption. We have pets of our own so we know how important it is to take care of pet stain issues effectively and safely. Your pets will love us as much as you will! Click here to schedule pet safe carpet cleaning now! We can deal with dander, odor, oily spots, urine and situations that require a more advanced approach. But don’t worry, there are plenty of pet stains that come out with our standard steam cleaning process! For stains that are a little more stubborn we can use our Basic Pet Treatment process by pretreating the area with urine stain remover which helps neutralize and remove yellowing, then we thoroughly steam clean the area. After thoroughly cleaning the area we apply an enzyme that treats the fibers and neutralizes odors. Click here to schedule pet stain treatment now! Watch this video for a full explanation of how our Pet Safe Carpet Cleaning system works! When do you need advanced pet treatment? If stains and odors are caused by frequent pet urination in the same spot, we can step up to our Advanced Pet Treatment process. We treat the carpet fibers and the padding by pre-treating the area with urine stain remover. We then saturate the padding with an oxygen powered solution to break down stains and odors. After letting the enzymes do their magic, we extract the stain with high-powered extraction. Once extraction is complete we thoroughly clean the area again with a process that is designed to cancel out odors, leaving a light, pleasant fragrance. If your situation requires more than our Advanced Pet Treatment we can go a step further by disengaging the carpet, replacing the padding and sealing the subfloor. We will do everything we can to get your carpet back in great shape so your entire family can enjoy clean, fresh smelling carpets! What can you do about pet accidents in between carpet cleaning appointments? If you have pets, especially puppies that have yet to be house-trained, then there is going to be an occasional accident, or two or three. 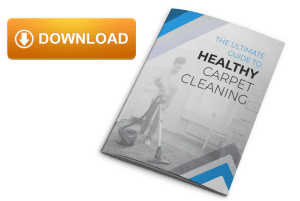 So what can you do in between professional carpet cleaning to keep your carpet looking and smelling fresh without compromising the health of your family? Put a towel over the area and apply pressure to absorb as much moisture as possible. Do not rub the area. Repeat with a dry towel as much as necessary. Do not use household detergents or harsh chemicals, as those can be bad for your carpet and your family. Dab the area with a small amount of white vinegar or other pet safe cleaning products that can be found at your local Mutts & Co pet shop. This helps with the odor and is safe for your pets and the rest of your family. If there is still an odor after the area dries you can sprinkle some baking soda over the area and groom it into the carpet fibers then vacuum it up. Why is our carpet cleaning technique so safe and effective at the same time? We use non-toxic solutions to safely and effectively clean your carpet and treat urine stains and odors to keep your entire family including your four-legged family members healthy and your carpet smelling clean and fresh! Each time you schedule carpet cleaning with a free area of pet urine and odor treatment we donate more to the local pet adoption center. We are pet lovers so we know how important it is to take care of pet stain and odor issues safely and effectively. That is why Technicare has become so well known as the pet safe, urine stain and odor experts! Our steam cleaning process is the recommended method of most carpet manufacturers. It is safe for your carpets, pets and children in addition to getting the deepest clean with the best results. Our technique starts with pre-spaying and then steam cleaning and a neutralizing rinse to give your carpet a deep clean without leaving residue behind. Then we double extract to make sure your carpet dries as quickly as possible. To maximize the lifespan of your carpets, it’s important to hire a professional carpet cleaner who uses the proper technique to care for your floors. Call Technicare for expert carpet cleaning services or schedule a carpet cleaning appointment in Columbus, Louisville, or Atlanta today! Why are our carpet cleaners so skilled? cleaned correctly. An untrained and inexperienced technician like the ones you may get with the national brands will leave your carpet wet for way too long, leaving residue and spots behind. nd will not hard sell you to get you to pay for extra things that should be included in a normal cleaning. Our carpet cleaning experts take the extra step of double extracting your carpet to remove as much moisture as possible to help speed the dry time. Our knowledgeable steam cleaning technicians pay extra attention to your traffic areas and spots to keep them from reappearing. Your carpets will stay clean longer with our thorough steam cleaning method because we use a neutralizing rinse, removing residue from your carpet. Have you ever been frustrated by the sales process of other carpet cleaning companies? We are very proud of doing business with integrity in everything we do. 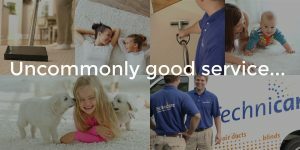 We are a local carpet cleaning service with a strong reputation in the community for our integrity and outstanding service. Our pricing is honest, easy and straightforward. There are no hidden charges, no bait-n-switch, no extra charges for pre-spraying, no extra charges for our neutralizing rinse, no extra charges for double extraction and moving standard furniture when requested. We have standard pricing for cleaning, restoring, deodorizing, and protecting your carpets. Technicare carpet cleaning gives you the best pricing every time. To maximize the lifespan of your carpets, it’s important to hire a local carpet cleaning company who hires and trains the right people to care for your floors. Call Technicare for expert steam cleaning services or schedule a cleaning in Columbus OH, Powell OH, Dublin OH, Westerville OH, Louisville KY, or Atlanta GA today! 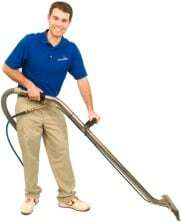 Why is quality carpet cleaning equipment so important? We use technologically advanced truck mounted equipment. Because of our equipment, we do not need to use harsh chemicals. The equipment is expensive, but worth every penny when it comes to quality carpet cleaning. The water gets hotter, the extraction has more suction and our carpet cleaning tools are more effective. All of this to make sure your carpets get clean safely. It is important to hire a highly rated carpet cleaner who uses the right equipment to take care of your carpet. Do you need spot and odor removal? Every spot is different, so our expert technicians will determine the best way to remove spots from your carpet. Our service includes treating most, but if for some reason your carpet has a spot that requires extra attention our technicians will let you know what the cost will be and let you decide what to do. While most spots will come out in our normal cleaning process, you may have a spot that needs extra attention or may even be a permanent stain. Our experts are trained to remove many different types of spots and will make sure we do everything we can to remove spots in your carpet. We also have Pet Treatment available for urine stains and odor removal. What other services do we offer along with carpet cleaning? Jim called approximately 1hour ahead of his arrival time, and arrived when he said he would. He educated me on the causes of the mold on my house siding and thoroughly described the process to remove it. He answered all my questions in a patient and professional manner. Matt W. and Adam S., did a wonderful job. We had never had our windows cleaned before. THey explained the process, went through the steps they outlined and even helped me out when I asked them to remove some very old window tinting that would not allow the window to be properly cleaned. Without the screens in, it is difficult to tell there is glass in the windows. They did miss one very small window in the basement, but I did not notice until after they left. Service was top notch. I would recommend them to anyone who needs their windows cleaned. Great service, so happy with my clean deck and sun porch! Ben and Mark were awesome and did a wonderful job on my sun porch and back decks!